No. She creates a scrapbook for a singular purpose: to create an authentic memory of an experience that she can look back on, and share with others. Yes, she spends a bit of time on it, and it looks amazing when she’s finished, but it’s more about creating a memory than a piece of art. When I meet with people seeking spiritual direction, I sometimes ask if they keep a journal. For some, it’s a passion. For others, it’s a ‘binge’ thing. For still others, it’s an unknown discipline. I like to think of journalling as a form of scrapbooking the spiritual life. Like scrapbooking, everybody who journals does so in her or his unique way, and there’s no prescribed right way to do it: it is, after all, a form of personal expression. The biggest difference is that our journals are not normally shown to others. They are our own visual dialogues with God. Journalling can be a helpful discipline for those who struggle to pray; writing out a prayer in one’s journal can be a way of focusing the mind on the task at hand. It also helps to expose what our common prayer pattern can be. Is our prayer more like a love letter or a grocery list? Is it more like a lecture or a lament? Or something else? Achieving balance in our prayer life is a good goal toward which to move, and journalling our prayers can help us review what our prayers are like. Ideally, it is helpful to spend time, when we pray, praising God for who he is, confessing our sin, giving God thanks for what he has done, and offering our requests and concerns. When we are intentional about including these different aspects of prayer, it can make us want to pray even more. And when we journal these prayers, we can, as we would with a scrapbook, look back on it in years to come to see how our relationship with God has changed over time. For me, as for many people, this leads to more prayer – especially thanksgiving. I know some people who draw in their journals, expressing their thoughts to God pictorially. Not all of them are necessarily even ‘artists’, as such, but they believe God gives them the drawing, and they share it as an expression of faith. 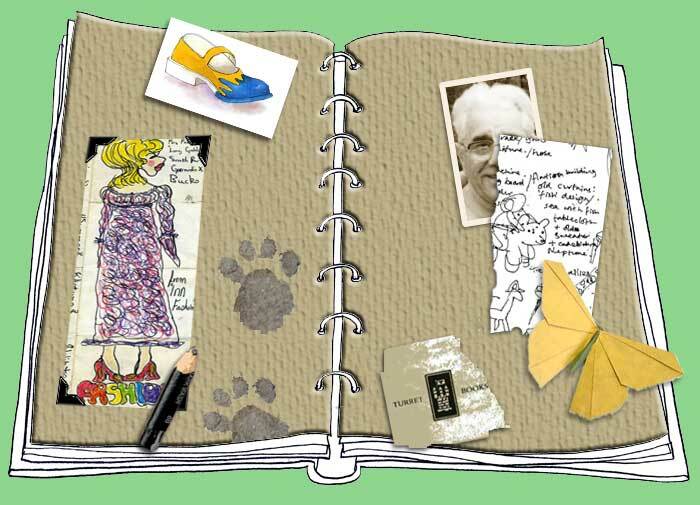 Have you ever thought about scrapbooking your spiritual life? “And the one sitting on the throne said, ‘Look, I am making everything new!’ And then he said to me, ‘Write this down, for what I tell you is trustworthy and true’” (Revelation 21.5, NLT). Next postWho do you say I am? LOVE LOVE YOUR POST HERE TODAY!!!! Thanks for putting this on today!! and the verse is a perfect fit. Blessings to you!